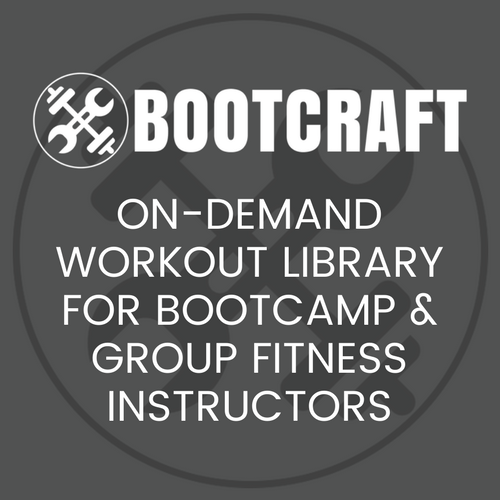 This bootcamp workout is a traditional circuit with a little more running involved. It’s great if you have a big group with a large variance in fitness level. The less fit clients have a balanced shot at finishing the round first. Run around oval performing different indian trail techniques. Include zig-zag through the line to the front, lunge walks, drop offs, etc. Group clients in teams of similar fitness levels. Each team must complete 2 laps of the oval with each set of exercises. This fitter the team, the more repitions on each exercise they must complete. Around the oval there are 4 stations with different exercises. The slowest team at the end of each round has to hold 1 minute plank at the end. You can modify this for shorter duration sessions by reducing the number of laps or reducing the number of different rounds. Complete another slow lap of the oval and then set up mats for stretching.